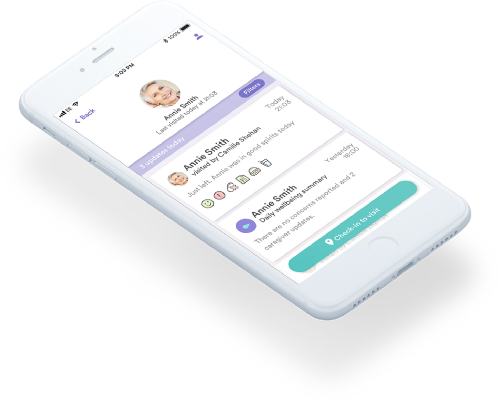 Birdie is a care technology platform that supports care professionals and families in delivering better and safer elderly care at home. Get in touch Caring for a loved one? Caregivers record visit notes directly in the Birdie app. Key information on the older adult’s wellbeing are instantly accessible by the whole circle of care. Our sensors platform detects incidents, such as falls or wandering, and alerts the right people at the right time to solve any issues. By analysing care reports and sensors information, our advanced health analytics identifies patterns of deterioration and alerts you and your client’s families. Our system works seamlessly to provide real-time information about care. It brings transparency and support towards the highest regulatory standards. Create tailored reports and audit care visits in real time. Everyone is kept up to date with the latest information about the care and wellbeing of the older adult. "Birdie has really helped me in caring for my dad, it’s improved his independence and our relationship. Before using Birdie, I was stressing him out. Today, we’re a lot calmer. It’s taken the worry and stress off both of us." We work with you to find the best commercial options for your business and reduce our fees based on the number of your clients who upgrade to our premium features. Join us today and try Birdie for free. Explore what we’re doing & learning and other helpful resources on our blog. 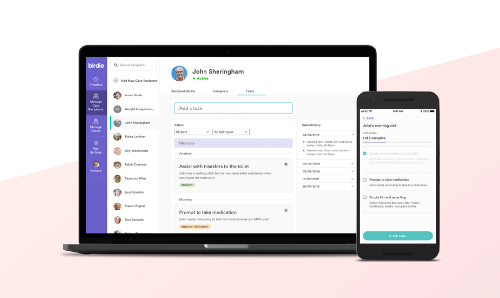 Introducing the New Birdie App: A better design to simplify care professionals’ life. Birdie: Why Does It Matter?